Kirk and Spock travel to Organia, a primitive planet about to be in the crossfire in a looming conflict between the Federation and some newly introduced baddies, the Klingon Empire. As Kirk tries to convince the Organians that they should let Starfleet establish a base on the planet, the Klingons arrive, led by Commander Kor (John Colicos), and establish a military post as Kirk and Spock are forced to go undercover (and as the Enterprise leaves orbit). With the Federation and Klingon fleets poised to begin fighting — Sulu’s in command of the ship with Scotty and McCoy apparently on Wrigley’s Pleasure Planet or something — the Organians reveal themselves as extremely power aliens, and stop the conflict from happening. This, of course, sets up decades of Cold War-style conflict between the two heavyweights, one of the key aliens in all of Trek, and bat’leths hanging over many a nerd’s fireplace. The Romulans technically arrived first, but the Klingons were TOS’ main bad guys, a fact that is especially true in the movies (Klingons appear in five of the six TOS films). Instead of being mysterious and enigmatic like the Romulans, the Klingons clearly have had lots of recent dealings with the Federation, as Kirk is able to describe them — or, at least, how he sees them — without much couching to the Organian leaders. Klingon bastards. The Klingons really became the Bad Guy of the Week in Trek’s second season, whereas the Romulans only appear twice more in TOS (only once more with actual actors playing Romulans) and only briefly in the movies and never as the main bad guys. It’s hard to imagine Star Trek without Klingon-heavy moments like the final battle scene in “Star Trek VI: The Undiscovered Country” or the tense scenes at the Genesis Planet in “Star Trek III: The Search for Spock” — to say nothing of the Klingons’ role in the next four series. “Star Trek: Voyager” is the only show without a lot of Klingon stories, despite the presence of a half-Klingon chief engineer. And it all started on a little world called Organia. 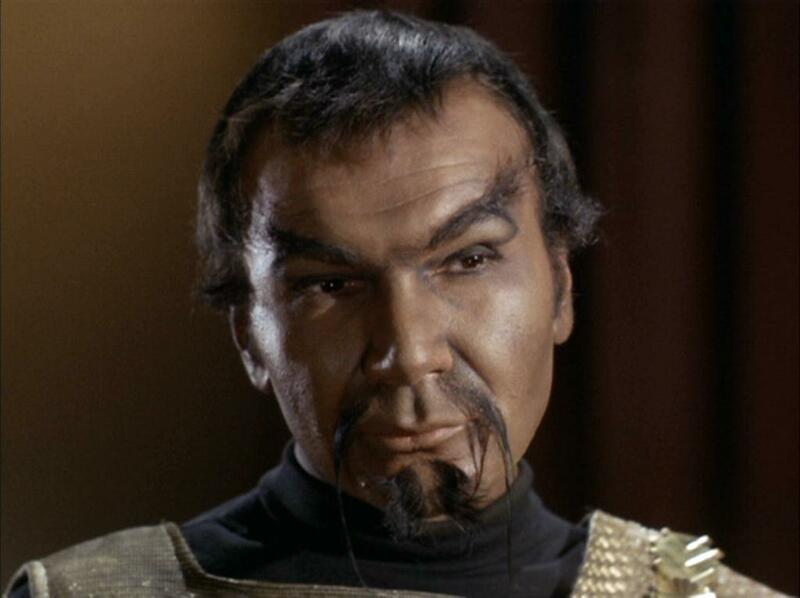 Of course, the Klingons here LOOK very different than they do starting in “Star Trek — The Motion Picture”. Up until the events of the fourth season of “Star Trek: Enterprise,” this was arguably the biggest wink-wink-nudge-nudge item of the franchise, with DS9 even acknowledging it as such in perhaps Star Trek’s most meta moment in “Trials and Tribble-ations.” Later, of course, we learn that the change in appearance had something to do with Klingons’ attempts to create Super Klingons by riffing on human genetic-engineering methods. Oh, and Anakin Skywalker actually built C-3PO. Yuck. Also, Starfleet is at its most militaristic here, with Kirk actually calling himself a soldier (not a diplomat). Was Gene on vacay on the Jersey Shore with Majel when this episode was filmed? 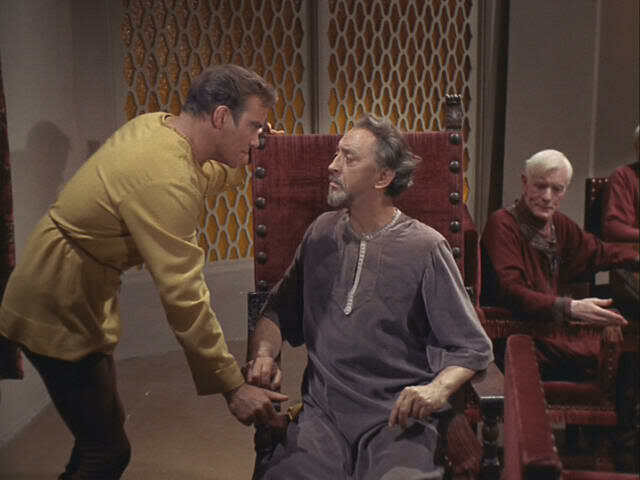 While TOS is certainly the most militaristic series in Trek (DS9 competes at times) with lots of talk of “the service” and “braids on shoulders,” etc., “Errand of Mercy” takes it to the extreme. That’s not necessarily a problem in an episode where everyone’s worried about a war. But it is noteworthy. 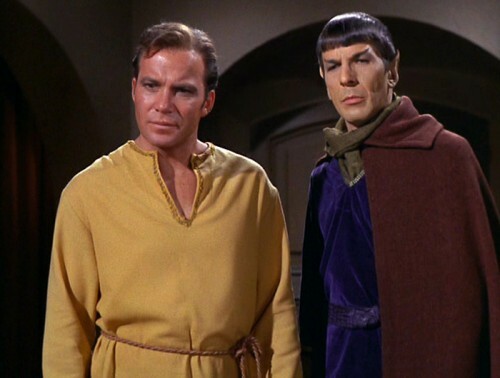 This is a great Kirk-Spock episode (not to be confused with a Kirk-Spock-Bones episode, which is actually a very different thing). It’s my favorite example of Spock not being an overt pacifist (talking about crimes against science) while also not being a caustic jerk (proposing to off Jim’s long-time buddy who just happens to be evolving into a god or something). Shatner also is about pitch-perfect in this episode (“Go climb a tree”) and Colicos is great as Trek’s first real Klingon. Kor’s final line about how the averted war “would have been glorious” might have laid a foundation for Klingons as much as anything else. This isn’t a great episode, but it’s a very good one. The biggest mark against it is that the plot here is too similar to what happened in “Arena.” In both episodes, Starfleet is prevented from taking action (combat) against an enemy — and god-like beings intervene (with different details). The Organians here are somewhat more interesting because they’re posing as simple backwards aliens — which sets up the big twist when they reveal they have the power to stop the Federation and the Klingons. But the lesson that Kirk learns at the end (that humans aren’t the most powerful beings in the universe) isn’t at all new. Or, at least, it shouldn’t be.